Combat Stress provides specialist clinical treatment and support to ex-servicemen and women with mental health conditions. 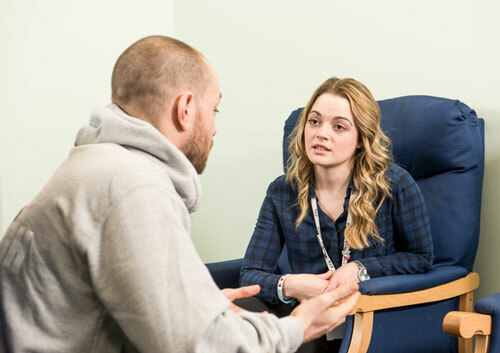 The PTSD Intensive Treatment Programme is a six-week residential programme to help people with post-traumatic stress disorder alongside other mental health problems. One in five armed forces veterans suffer from mental illness – 4 to 6 per cent of them with PTSD – and often find it difficult to engage with civilian programmes. Launched in 2011, it is one of the first charity-led programmes to gain NHS specialised commissioning status, to treat people with complex combinations of PTSD and depression. Before attending the residential programme participants are stabilised with medication and other treatments. It was the first time that the charity had designed an intensive treatment programme, as opposed low- level respite care, and it recruited a team of people who had experience of running similar programmes elsewhere. Residents take part in group skills training and one-on-one cognitive behavioural therapy. Psychometric tests are used to monitor the effectiveness of the programme and results published in peer-reviewed journals including the British Medical Journal reveal that participants experience a reduction in symptoms over time. Results from study of 246 veterans who had participated in the programme show that 87 per cent experienced a significant reduction in symptoms, with 63 per cent no longer meeting the criteria for PTSD six months after taking part. The programme now runs across three of the charity’s centres, with more than 1,000 veterans having received treatment.